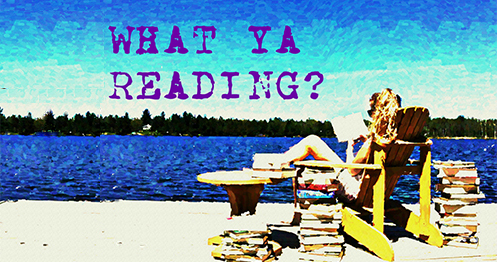 Throne of Glass | What YA Reading? I’m not usually one for fantasies. I mean, sure, Kristin Cashore rocked my world, but as far as world building will go I’m a far happier campier with a juicy dystopian than anything else. With all of its rave reviews, though, I was quick to order Throne of Glass from my local Barnes and Noble– and I’m happy to say that it lived up to its reputation. Celeana Sardothien will either impress you to no end or rub you the wrong way. Thankfully, my experience was closer to the former. Her country’s deadliest assassin, Celeana enters a power hungry king’s frivolous contest in the hopes to win back her freedom. As seen in this competition, she has all of the nerve that comes with her commendably fatal reputation, though the walk she walks doesn’t come close to living up to the talk she talks. Despite this incongruity, I loved Celeana’s arrogance; so what if there’s a small gap between her abilities and her bragging? She was definitely a nice change from the typical “woe is me, I have low self esteem” YA protagonist. I like my heroines confident, and I like them cocky. Especially if afore-mentioned cockiness is delivered with deliciously witty insults, a bonus which Celeana did not fail to distribute in abundance. I’ve heard that Celeana’s true (and skilled) colours shine through in Throne of Glass‘s novella prequels, The Assassin and the Pirate Lord, The Assassin and the Desert, The Assassin and the Underworld, and The Assassin and the Empire. Assuming that this is true, I cannot wait to read them and uncover more Celeana’s murderous past. Yes, you might say that I’ve tasted blood… and I want more. Like any good fantasy I’ve ever read, Throne of Glass‘s world building was spot on. Corrupt royal family? Check. Needless slaughter and painful genocide? Check. A history that you’re not sure you want to know? Check. Magical woodland creatures that no longer frolic in their corner woods? Check. And there you have it, folks: all of the ingredients necessary to win me over. 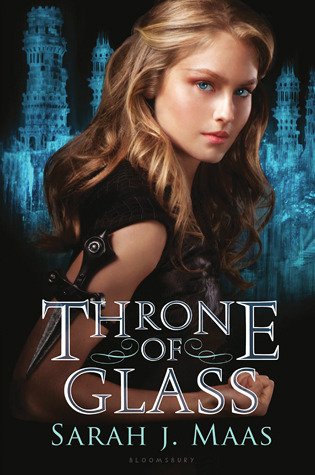 Throne of Glass‘s tragic flaw lies in its predictability. Although I tried to steer myself in other directions, thinking “this can’t be the evil villain; it’s too obvious”, I figured out the culpable of the contestants’ horrible murders on page one. I understand that Ms. Maas first wrote this novel when she was sixteen, but there’s no need for juvenility, is there? Moreover, Celeana’s inner debating on the goings-on around her actually turned out to be more dramatic irony than anything else; the truth became obvious to the reader long before Celeana’s pretty little mind caught on. This slowed the novel’s pacing and left me with the general urge to bang my head against my four-hundred page hardcover in the hopes that losing brain cells might make the plot twists less obvious. Again: a little subtlety can go a long way. All in all, Throne of Glass was superb. Not superb enough to rival Graceling‘s grandeur, of course, but we can’t all be Katsa, can we? 3.9/5 stars. Pingback: A Court of Thorns and Roses | What YA Reading?